"Saint of the Day Websites Index Directory"
Being of Irish and Italian parents I have always been curious to know as much as is possible about the cultural traditions of my heritage. Since Monday the 17th is the official celebration of St Patrick's Day I have enjoyed researching and learning even more about this special Patron Saint of Ireland. Since my Irish lineage comes from my dear Father's side of the family and this is the month of his translation or passing some years ago, I respectfully dedicate this St. Patrick's Day (officially celebrated on the 17th of March) presentation to his loving memory. Of course that leaves the Italian portion of my family tree to my dear Mother's side of the family and although the patron saint of Italy is usually celebrated in America along with other saints on "All Saints Day" in Italy he is given very special tribute and honor. I am of course refering to "Saint Joseph, father of Jesus" and so I respectfully dedicate this St Joseph's Day (officially celebrated on the 19th of March) presentation to my beloved Mother. 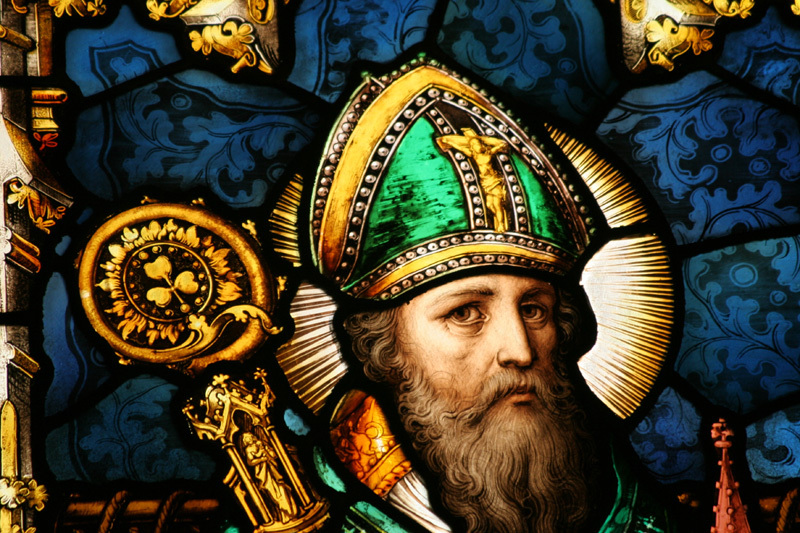 St. Patrick, the patron saint of Ireland, was born in Wales about 385 AD. His birth name was actually "Maewyn". 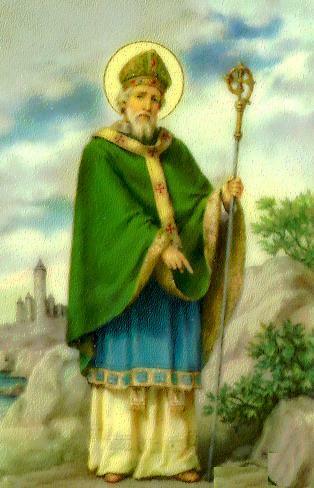 The future patron saint, considered himself a pagan until at the early age of 16, when he was sold into slavery by a group of Irish marauders. It was during his early captivity, that Patrick was to develop a much closer relationship to God. After six long years of servitude Patrick journeyed to Gaul where he studied at the monastery there under the guidance of St. Germain for a period of twelve years. It was during this time that Patrick was to receive his personal revelations to return to Ireland, and convert the druids and pagans there to Christianity. Two years later, Patrick was appointed as the second bishop to Ireland. During his life St. Patrick traveled all across Ireland, spreading the scriptural teachings and building Church's and Monasteries throughout the Irish countryland. His ministry which encompassed some thirty years was credited with converting Ireland from paganism to Christianity during this period. St. Patrick died on March 17, 461 AD and the 17th of March has been celebrated as St. Patrick's Day ever since. At the time of his death St. Patrick inspired tens of thousands of his countrymen and women to believe in the Love of God and eventually his message of faith spread into Scotland, England, France, Germany, and Belgium. As an elderly man, St. Patrick perhaps best summed up his years of loving faith and service in some of his final writings which state; "Those who never had a knowledge of God but worshipped idols and things impure, have now become a people of the Lord, sons and daughters of God and for this I give thanks..."
Of course after St. Patrick's death there were an abundance of substantiated stories as well as Irish folklore about his life some of which included the belief that Patrick raised people from the dead... as well as the most famous story of his preaching of a sermon which proportedly drove all the snakes from Ireland into the sea. Originally a Catholic holy day, St. Patrick's Day has since evolved into a mostly non-religious secular holiday. The traditional icon celebrated on this holiday is the shamrock. 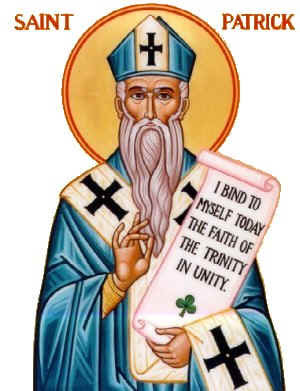 Other records tell of St. Patrick using the three-leaf shamrock to symbolize the holy Trinity and how the Father, Son, and Holy Spirit could all exist as separate elements in a single entity. This led to the tradition still honored today of wearing a shamrock on this holiday. 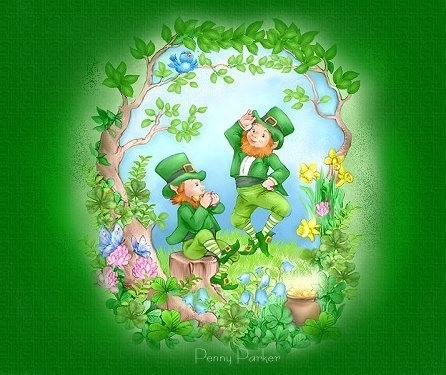 St. Patrick's Day was first introduced to ever expanding Irish communities in America in the year 1737 and was initially first publicly celebrated here in the U.S. in Boston, Massachusetts. 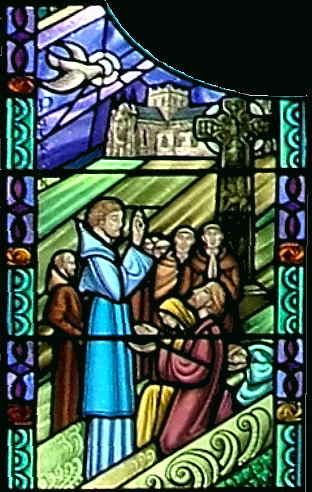 The life of Saint Patrick which has been historically credited with his Spiritual and Christian devotion to the people and country of Ireland and his single handed conversion of tens of thousands of his countrymen and women from paganism to Christianity certainly fulfills a large portion of his Saintly status. The Catholic Church who is primarily responsible for the cannonization fo Saints has it's own rigorous standars for determining Sainthood which includes corroborated miracles of which St Patrick also fulfilled during his lifetime. 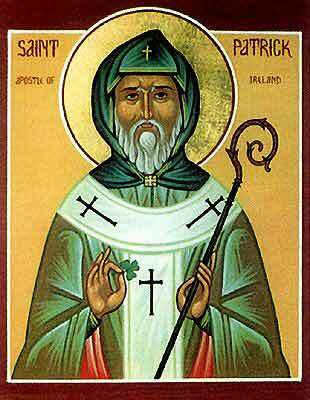 St Patrick's ministry covered some 30 years of devotion to Jesus Christ, his teachings and message of salvation. He is also credited with the construction of numerous Church's and Monasteries throughout Ireland. The morning being very cold. When every fragment blazed on fire. Who daily struggles to be free. Quite softly I drew night. That lady by your side..."
And what was I to do..? 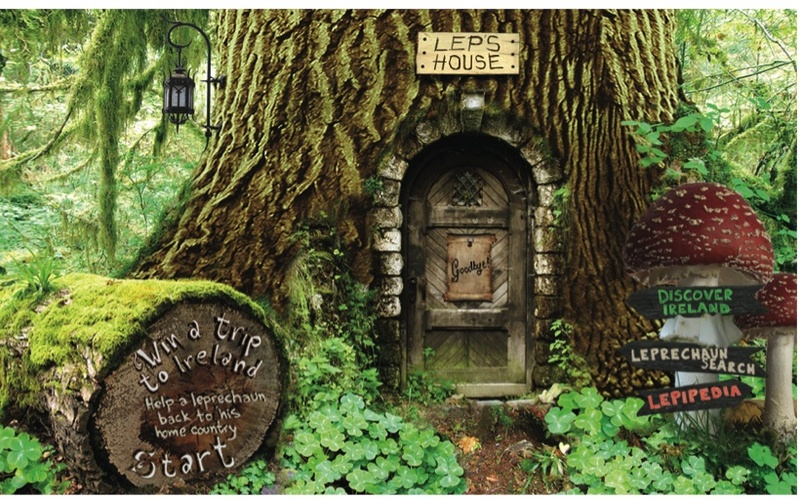 ST PATRICK'S WRITINGS "The Confessio"
ST PATRICK'S DAY "History Channel"
History of Saint Patrick "Saint Patricks Day" St Patrick's day poems "Drawings of Leprechauns"